The Double Spring Middle School Library Media Program seeks to create a 21st century environment that promotes learning for all students by providing equitable access to information, teaching information literacy skills, and encouraging lifelong learning. The library media center strives to be a center of collaborative learning that produces creative students who have an appreciation of literature, critical thinking skills, and a respect for others and self. PIZZA PARTY for homeroom collecting the most Box Tops! Please continue to collect General Mills BOX TOPS for the library. We have collected $86.70 for the 2017-18 School Year. PROJECT DESCRIPTION: We began the school year with "CHOOSE KIND" as the theme of the school based on the book WONDER by R.J. Palacio. Books (150) were donated by individuals and businesses. Each student in Double Springs Middle School was required to read the book. School and class activities based on the book were incorporated throughout the school and classrooms. Donations were given from local merchants and civic clubs to fund a "School-Wide" field trip to AMC theatre in Cullman to view the movie. We were awarded $1654.81 in Scholastic Rewards to purchase books and materials from Scholastic. Student Star Test were given in December (If you did not receive a student report and would like one, please let Mrs. Seymour know. AR Reward Celebration for students who meet their yearly goals. Log in using your child's AR login. Double Springs Middle School Library, serving students in grades 5-8, subscribes to the principles outlined in “Alabama’s School Library Media Handbook for the 21st Century Learner” published by the Alabama Department of Education. Students have flexible, open access to the library media center during the school day. The LMS and the teachers collaborate to schedule lessons that promote reading and that teach students how to acquire and use information. First of all, it is important to remember that our audience is 5th grade through 8th grade. Not every book is appropriate for every child. In addition, family standards vary widely. These two factors, varying ages and varying standards, sometimes make it a challenge to match books and children. The best thing parents can do is set the standards for their own children. If a parent does not want a child to check out a particular type of book, then they should communicate that to their child. 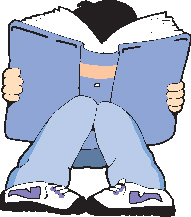 Please notify the librarians if you do not want your child to check out a particular book. We believe that by working closely with parents, we can guide children in making appropriate choices. At Double Springs Middle School Library, most of our collection is integrated and available to all students. Books are checked out for a period of two weeks. One renewal is allowed. Students may check out 2 books at one time, exceptions will be made to accommodate student need. Students may check out magazines ONLY after they have met their AR point goals. 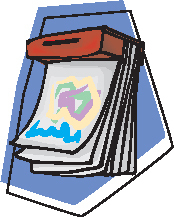 Patrons MUST pay for lost or damaged books. When you receive an overdue notice, we include the price of the book as a service to you in case it is lost. We charge $0.05 a day for every school day that a book is overdue. Home Connect gives our students their own place in our Destiny Library Catalog where they can create Shelves containing the books they’ve read, those they’re currently reading, and those they want to read. The library computer lab is open at all times to individual students for Accelerated Reader tests, STAR, Destiny and class related research. Individual students must have permission from their teacher to use the internet and must also inform the LMS that they will be using the internet. Students who violate permissions will lose this privilege and be immediately sent back to class. Teachers may also schedule the library computer lab for a whole class project by making a reservation with the LMS.